Good morning & welcome back to the Friday Fiction Feature! Your favorite series-editor Tabatha has returned, and today I want to go a little nerdy (I know, way out there for a monster-murder-humor-centrous blog book series). For our very first introduction to dorkiness I am going to assemble my very own fiction D&D party. I have sought out the best (read: funniest) companions to be had. Ready to meet any situation (provided it isn’t actually threatening), and prepared for any (teddy-bear-sized) enemy, this team brings together the best supernatural fighters fiction has to offer! The first member of my party is Bill the Vampire. I think Bill will be a valuable asset to my party because he gives us the element of surprise. With Bill I can combine the fierce predatory skills of a vampire with the inconspicuousness of a computer programmer. Just think of the ambushes you can perpetrate when you sneak in a man with a pocket protector behind the lines! There are reasons we fear the night. He isn’t one of them. Meet Bill Ryder: programmer, gamer geek, and hopeless dweeb when it comes to women. All he ever asked for out of life was to collect his paycheck, hang out with his buds, and eventually (someday) ask out the girl of his dreams. However, then Bill met Sally. She was mysterious, aggressive, and best of all…smoking hot. Bill never stood a chance. Before he knew what was happening Sally had lead him to his death, and that was only the beginning of his troubles. Now Bill awakes to find himself an undead predator of the night. The only problem is he’s still at the bottom of the food chain. He’s in way over his head, surrounded by creatures more dangerous, better looking, and a whole lot cooler than he is. 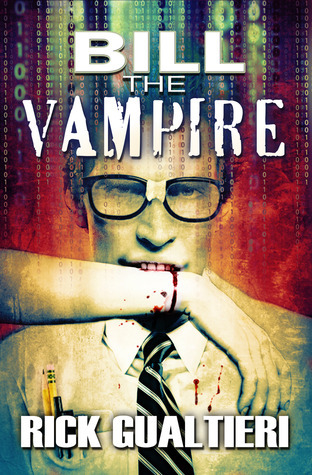 Worst of all is the dreaded Night Razor, a master vampire who just can’t stand him. He gives Bill a 90-day deadline to either prove himself or meet a more permanent kind of death, and the deck is definitely stacked against him. But Bill isn’t exactly average. A vampire like him hasn’t been seen in over five centuries. He’s got a few tricks up his sleeve, unlikely allies to help him out, and an attitude problem that makes him just too damn obnoxious to quit. He may just pull it off… if he doesn’t get his teeth kicked in first. One of the first & most important characters to go into any D&D party is, of course, the mage & I’m certainly not going to be the only one left without a magic-handler…even if he is a teenager. Sure, sure the wizard is usually supposed to be an elderly & wise man or a young woman with impossibly large breasts, but even the wizened wizard had to be young once, right? Besides, I figure if I can enlist him early, we’ll become friends, and having a mage nearby who likes me is the best self-preservation I can think of. Anyways, a pimply magician is certainly better than none, and if he can manage to survive the plot of Zero Sum I imagine he’ll be overqualified for any derring-do I can come up with. My name is Dieter Resnick. I was planning to turn eighteen in May, but I don’t think I’m gonna make it. I’ve just been drafted into a war. And this war isn’t usual. It’s kinda sorta fought with spells. Six months ago today, I was my high school’s valedictorian. Now I’m Elliot College’s newest combat-certified mage, and one of the few to survive a Talmax raid. I’ve got a weft-partner named Rei Acerba, whose hobbies include flaying the skin off her foes and perusing the sunscreen aisle. I’ve got a tutor named Jules Nelson, who spends her evenings talking to trees. And I’ve got a friend named Jay Dante, who tends to vanish when I need him most. We’re all part of a team called Lambda, and we’ve been ordered into the middle of a battle between North America’s magical factions. The warriors of Talmax are surging up from the South. The Department of Mana Affair’s once omnipotent DEA agents have been left cowering behind their wards. Our job is to reveal the enemy’s secret weapon–before they take ownership of the entire West Coast. So, now that we’ve got magic and stealth in the bag, we’ll need some muscle. And who better to provide backup & a really big gun than a bad guy! 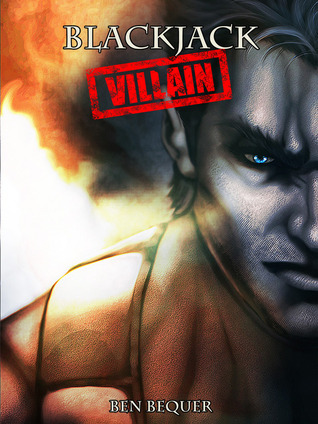 Blackjack [the] Villain is the perfect muscleman to round out the team–he has all the skill of an experienced mercenary, and a long career as a villain will ensure that our group looks scary and things like morality don’t muddle up his brain when it comes time to do his most important job: keep me safe! “I’m Blackjack. A small-time villain. I know I’m not a big leaguer, but more than one wannabe hero has ended up in traction after getting in my way. I mostly stick to easy stuff, though, like popping banks and armored cars, and make a little money where I can. Living good is nice, you know? I thought I had it all figured out, until I found a once-in-a-lifetime opportunity: A slot in a big time super villain team. The gig seemed like a dream. Steal bits of dusty old crap from different parts of the world and make serious cash. But little would I know that what would start small would end up sending me halfway across the galaxy (or was it to a different dimension? ), and at the end of it all the fate of our planet, and everyone living in it, would be in my hands. Oh, and I met a girl. I think it will be important to have a backup unholy man in the team on the off-chance that my stealth killer Bill is not up to the job. After all, smart tacticians build redundancy into the system in case the first person is shot or distracted. With this in mind, I intend to recruit Demonspawn. His human appearance will make sure he can sneak into most places under the radar (though not as well as the guy who can make himself invisible by boring everyone explaining how the radar works), and his demonic powers should be enough to take care of a room of enemies. Besides, it looks like he’s got connections with the vampire community, and there’s nothing like a good legion or so of dangerous allies! “My name’s Alex. I used to think I was normal. I have a job, an apartment, good friends. I have a sister I adore, and the most beautiful woman in the world happens to be my best friend. I see ghosts. So what, right? It’s on television all the time. All kinds of people see ghosts. But seeing ghosts turns into seeing demons. Seeing demons turns into walking through walls. It only keeps getting better. It just so happens I’m half demon, the only one of my kind. I met a woman and made a new friend, Victoria. She is a four-hundred-year-old vampire, and she needs my help. It turns out vampires are popping up everywhere. Some kind of new breed, more animal than vampire. They feed on anything, and can’t be reasoned with. The more I think about connections & allies the more convinced I am of my next choice for the party: Adam The Immortal. Who better to bring us allies than a man who has had millenia to accumulate them? Not to mention all of the practical knowledge he must have picked up along the way. I mean, if a wizard is supposed to be impressive as soon as he is old enough to look wizened just think how useful a 60,000 year old man will be! Not to mention the survival skills he can share with me while we send the muscle-men out to slay the enemies. Surviving sixty thousand years takes cunning and more than a little luck. 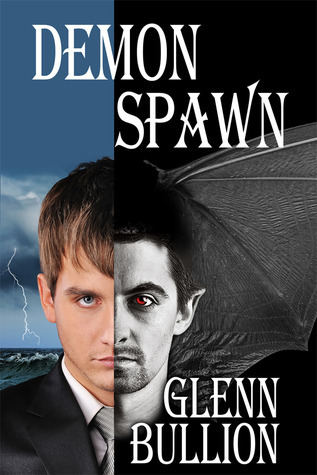 But in the twenty-first century, Adam confronts new dangers—someone has found out what he is, a demon is after him, and he has run out of places to hide.Worst of all, he has had entirely too much to drink. 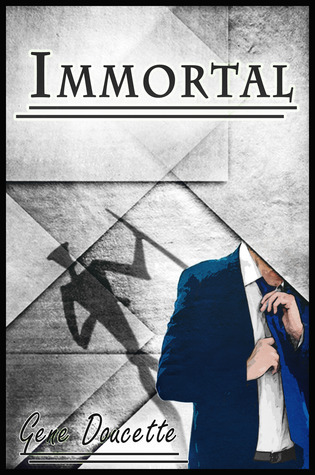 Immortal is a first person confessional penned by a man who is immortal, but not invincible. 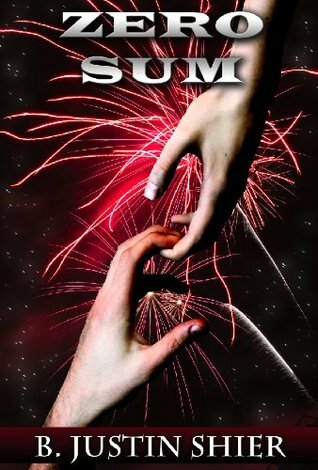 In an artful blending of sci-fi, adventure, fantasy, and humor, IMMORTAL introduces us to a world with vampires, demons and other “magical” creatures, yet a world without actual magic. At the center of the book is Adam. Adam is a sixty thousand year old man. (Approximately.) He doesn’t age or get sick, but is otherwise entirely capable of being killed.His survival has hinged on an innate ability to adapt, his wits, and a fairly large dollop of luck.He makes for an excellent guide through history . . . when he’s sober. Last but certainly not least, I want to include the Puzzle Lady. When you are in difficult situations, fighting unimaginables horrors, unlocking mysterious caverns, & decripting riddles which have stumped generations of heroes, who could round off the team better than a woman with a cruciverbalist’s vocabulary & riddle knowledge? Between Blackjack & the heroine of A Clue for the Puzzle Lady I don’t think we’ll need to blink at something like the sphinx. 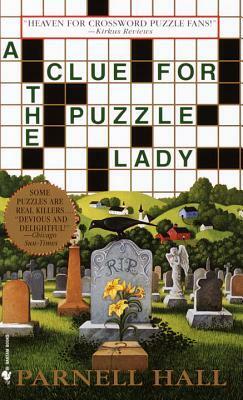 First in a series, this clever mystery from an Edgar Award nominee lets readers fill in the clues as the plot unfolds. The heroine, Cora Felton, is a weekly syndicated crossword columnist who turns into a modern-day Miss Marple at the whiff of a good mystery. “Fresh, funny, and ingeniously densed. It kept me guessing right down to the end–just like a good crossword”.–WIll Shortz, Crossword Editor, “The New York Times”. *Now I know what you’re thinking. This crew still needs a fearless leader! Someone with skills, charm, wit, and amazing fighting skill! Well don’t worry, dear readers, for there is one last member of the team: ME! What could make a better contribution to any D&D party than me? I am smart, a fast reader…also some of those heroic attributes as well… Anyways, I don’t see why I can lead the team (and take all of the credit), after all I did go to all the trouble of assembling this ragtag group, and everyone knows the unlikely heroes are always the ones to save the day!…after they are spurred to action… when their beloved hero dies…hang on, I might have to rethink this one.